Primarily, HTML5 is a markup language that allows the developers for building up the web-based applications which can run on every device on a regular browser. Just imagine the power of the HTML4 which has currently powered web with interactive media and that also now there is HTML5. Nowadays, the native apps can be written specifically for the Apple, iOS, and Google. The operating system if the mobile is dominating the mobile development but HTML5 offers various benefits other than the native apps. Firstly, the HTML5 is a web-based standard which can run on any web browser. This means that the developers are not being the mercy of the Apple, Google or their closed native app. Also, you can promote your HTML5 application freely on the web. The HTML5 is one of the latest version of hypertext markup language which has brought up the revolution in the industry of the web design as well development. This language has introduced various new as well as enticing features which have allowed the users to make the website user-friendly, engaging as well as interactive. This is the reasons that the webmasters are switching over to this new technology as this provides various advantages as compared to the previous version. 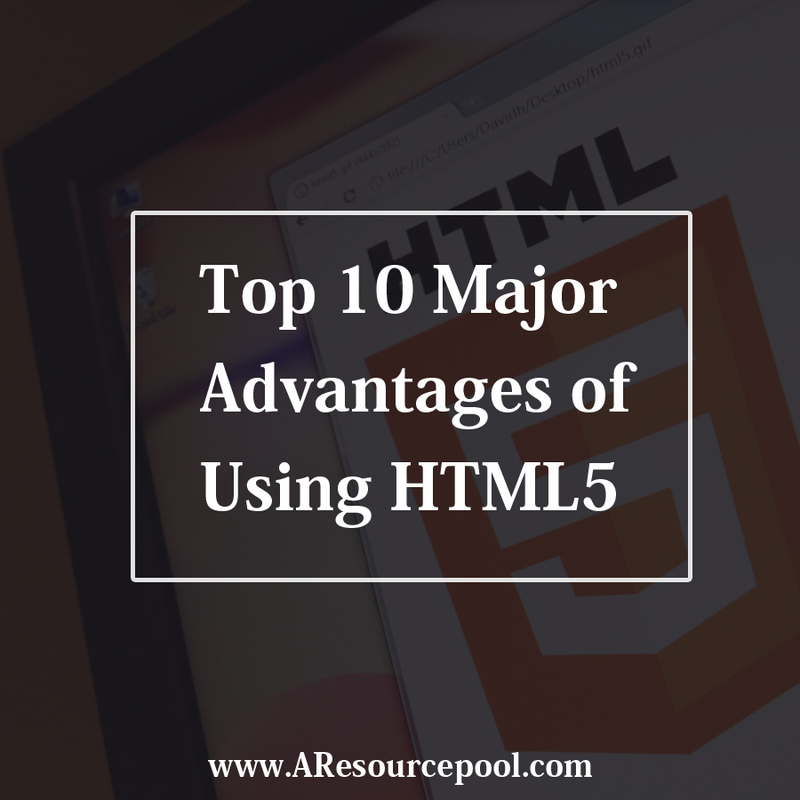 Now have a look at the top 10 advantages that are offered by html5 Development. This is the new version of the HTML5 which save the users from the unusual copy and paste work. Despite being simple as well as easy, the doctype also works with some legacy versions of the main browsers such as IE6. The HTML5 platform has enhanced the visibility of the web pages as well as websites. This will allow users to access the content easily as well as they can easily understand various tags such as <header>, <fototer>, <section> without any confusion. This will not only enhance the display but it will also make the process of the coding much easy. These new improvements provide easier access to its users without considering the color, orientation, and resolution of the device being used. This helps us in keeping the code very clean as well as understandable. This has also become the success enhancement in this new HTML5 version. This version allows the users to write the code semantic and descriptive. Also, this support in separating the style from the content without doing any kind of extra effort. Nowadays there has been an increase in the numbers of users who use the internet on the mobile instead of the desktop or laptop. This will continue and grow fast and thus all the websites need to mobile-friendly nowadays. Being the mobile-friendly tool, the HTML5 allows building the website as well as an app for the mobile devices. Hiring the HTML5 developers will make you get the responsive website design which can increase the targeted audience and cater the need of user without hampering any device. There are multi-space browsers too, so the websites nowadays need to be compatible with cross-browser. So, getting the HTML5 designed website or app has the advantage as it supports all the main browsers in the world that include Google, Chrome, Internet Explorer, Opera, and Firefox and also the legacy versions. One of the best things about this version is that it offers seamless access to the site. Talking about the previous version, they use Flash Player or any other third media player for making audio or video elements accessibility for only to few individuals. 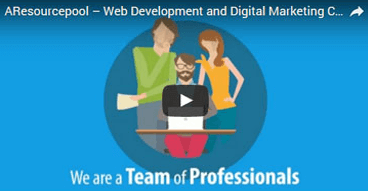 But with the version of HTML5, this has intro various new and outstanding elements with the audio and video which are much popular and also allow the user to add various multimedia elements to website without any hassle. The new version HTML5 has the Geo-location API which enables the device to detect the location of the user and provide them the tailored content. This great feature of the HTML5 needs the consent of the user to identify the location of user appropriately but though it enables the web browsing much easy for the users specifically. A great interaction might lead to the improved marketing and many sale for the businesses. With the HTML5, users are able to make the website much engaging as well as interesting, This new as well as awesome element allows the user to get animation and other exciting features which engrossed the user. Also, it allows creating the featured pack as well as the rich application which in result improves the conversion of the website. The games are much popular among the users who use the internet. With the introduction of the version HML5, the games can be developed with the use of the <Canvas> tag. Also, the users can play now much engaged as well as the interesting game. Other than the school flash games all these games are easy to be developed and much engaging. The version HTML5, makes the users enjoy with the improve storage feature which is a perfect bond among the style storage as well as a client database. This version provides enhance service in the term of the security and allow easy as well secure storage. Do you want to get your mobile application developed? Are you confused about choosing mobile app development company in India? Leave your worry aside and choose Aresource Pool which is the highly prominent company dedicated to offering application development services to the individuals. The main aim of the company is to offer full satisfaction to their clients and provide them the enhanced app. They have highly experienced HTML5 developers who dedicated develop the app without any hassle.